All parents want their children to get the most out of school and to acquire the knowledge and skills that will stand them in good stead for later life. But with an ever-expanding curriculum, increasing class sizes, and the lure of TV and computer games, parents are sometimes at a loss as to how to help their children. 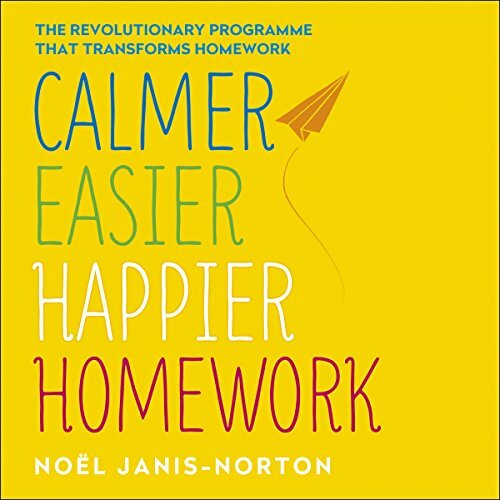 In Calmer, Easier, Happier Homework, parenting expert Noël Janis-Norton shows how parents can help their children develop the skills and resources they need to succeed. A former classroom teacher, Noël offers practical strategies on everything from establishing good homework habits to encouraging even the most reluctant reader to love books. Calmer, Easier, Happier Homework is a practical programme that will transform your child's education. For parents of children ages 4-14.